We closed our 2015-2016 season with a concert of three Gloria pieces by three different composers: Poulenc, Puccini, and Rutter. These settings of the joyful Gloria text will put you in a lighthearted mood, as we head into summer. The Gloria by Francis Poulenc is one of his most celebrated works. Written late in his life, it is a gorgeous soul-affirming work with wonderful melodies and sudden harmonic shifts. It is remarkable not only for its wide range of emotions, but for the sheer amount of musical drama packed into its 25 minutes. 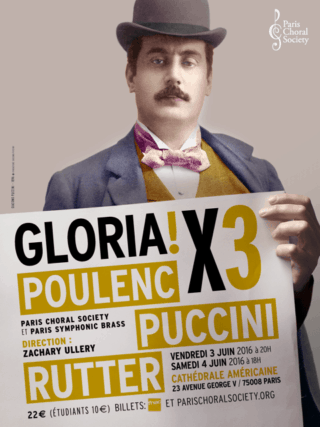 Giacomo Puccini’s Missa di Gloria is an uncomplicated work. Its style is direct and unashamedly operatic, and it is clearly influenced by Puccini’s hero, Verdi. Written when Puccini was only 18, the Gloria is a tour de force, with rhythmic energy, soaring melodies and luxurious harmonies. For this concert we will be singing the well known “Gloria” movement. 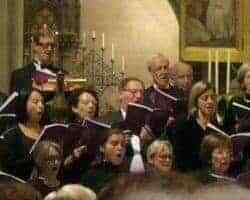 Acclaimed British composer John Rutter’s Gloria remains a favorite with choirs and audiences worldwide for its freshness, drama and sheer beauty. This three-movement Gloria is both touching and thrilling, alternating soaring vocal lines with contemporary harmonies and catchy rhythms. The accompaniment is for brass ensemble with timpani and organ which provide a thrilling counterpoint to the choir with punchy, syncopated brass. Brass and percussion players from the Paris Symphonic Orchestra played with us for the full Rutter Gloria and the Puccini Gloria movement. 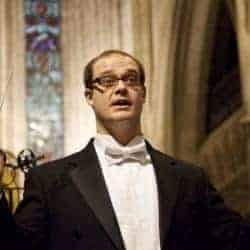 The American Cathedral’s resident organist, and PCS accompanist, Andrew Dewar, accompanied the Poulenc Gloria.